In other news, Washington Township Public Schools’ newly-appointed district equity officer Steve Gregor outlined his goals for the position. In lieu of Distracted Driving Awareness Month, Washington Township police are enforcing distracted driving laws throughout April, and the WTHS baseball team defeated Toms river North 1–0 in their first game after head coach bill Alvaro resigned for personal and family reasons. Catch up on all the latest stories in our Weekly Roundup. Director of Secondary Education Steve Gregor was recently appointed Washington Township Public Schools’ district equity officer, a new position created by Superintendent Joe Bollendorf. “I would like to work against deficit ideology,” Gregor said. “We need to change our thinking about why some families do not participate fully in their child’s education. It’s not for lack of desire, it’s for lack of access — that’s why we need to remove the barriers. Not just make things equitable, but remove the barriers to our educational resources.” Gregor has worked in the district since 1989. Just before the start of baseball season, head coach Bill Alvaro resigned. Athletic director Kevin Murphy said the resignation was due to personal and family reasons. News of the resignation broke on March 29, just two days prior to the Minutemen’s first game of the regular season against Toms River High School North. The district has appointed assistant coach Bob Kelly as the team’s interim head coach through mid-April. Despite the fact, Minutemen prevailed in their first game, defeating Toms River North, 1–0, in 10 innings. Pitchers Eric Cartafalsa, Nick Hammer and Lorenzo Morello preserved the shutout for Washington Township. 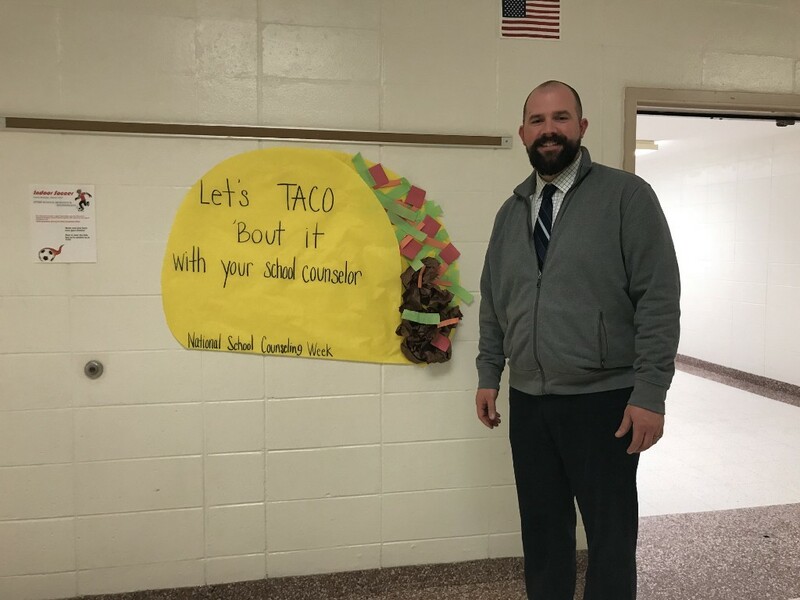 Dan Jedwabny outside of the guidance office at Orchard Valley Middle School on April 5, where he works as a sixth grade school counselor. Jedwabny was recently recognized as Gloucester County’s “Counselor of the County,” by the New Jersey School Counselors Association. Photo: Krista Cerminaro, The Sun. 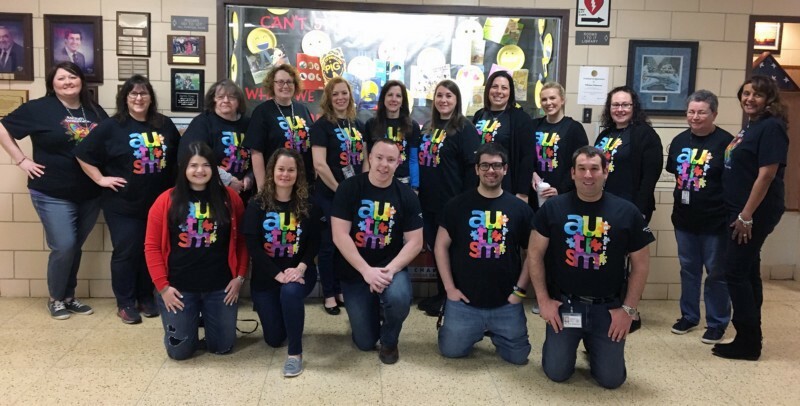 The Whitman staff poses in their autism awareness shirts at Whitman Elementary School in Washington Townshp on April 3. Photo: Matt Pesyna, special to The Sun. Whitman Elementary School in Washington Township recognized World Autism Awareness Day on Tuesday, April 3. The Whitman faculty and staff wore autism awareness T-shirts to school, and students were encouraged to wear blue colors or autism awareness gear as well. 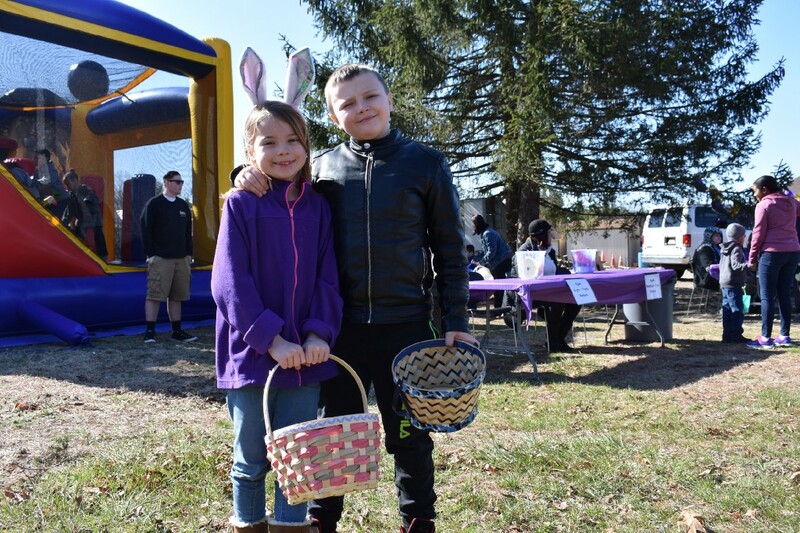 Avery Savage, 7, and Blaize Savage, 9 are ready to fill their baskets with Easter eggs at the Gloucester County Community Church Easter egg hunt. The hunt also featured a bounce house, face painting, and refreshments. Photo: Krista Cerminaro, The Sun. Gloucester County Community Church in Washington Township hosted an Easter egg hunt on Saturday, March 31, where children were busy gathering eggs, getting their faces painted, bouncing around the bouncy house, winning prizes, taking photos with the Easter Bunny and enjoying refreshments.